Ex-Hawthorn AFL player Brent Renouf with the cheque for $10k after catching one of last year's tagged barra. THE second season of Million Dollar Fish will have even more prizes to lure fishos up to the Top End. Registrations opened today for the competition to begin on October 1st when 101 barramundi will be tagged and released at fishing locations across the Northern Territory. One will carry a million-dollar prize tag and the other 100 fish will be worth $10,000 each if caught. Last year the competition attracted more than 43,000 registrations from 62 countries including 25,800 people from interstate and 14,600 Territorians. Ten prize-tagged barramundi worth $10,000 each were caught in Darwin Harbour, Daly River, Corroborree Billabong and Bynoe Harbour. This year, an extra $160,000 of bonus prizes will also be awarded, with bonus sponsor prizes to be drawn monthly from July 2016 to February 2017, making one of Australia’s richest fishing competitions even richer. This means everyone who registers will have the chance to win prizes right up until the end of the season, even if they aren’t able to find a tagged fish. The additional bonus prizes for season two include five HelloWorld holidays to five different regions in the Northern Territory flying Qantas, a Jayco Camper Trailer with fridges, Shimano and BCF Fishing Tackle, JMGillies Classic Lures, Accor Hotels for Le Club points, Qantas flights, XXXX GOLD cartons and a fishing charter. “There’s no doubt the Northern Territory is home to some of the best fishing in the world and everyone wants to catch an iconic Northern Territory barramundi,” NT chief minister and minister for tourism, Adam Giles said. “The Million Dollar Fish competition is timed to influence travel to the Top End during our low season from October to February. “Last year’s competition generated spin-off benefits for local businesses, with marine dealers reporting a boom in outboard motor servicing, servos selling more fuel and tackle shops and fishing tour operators reporting increases in business. 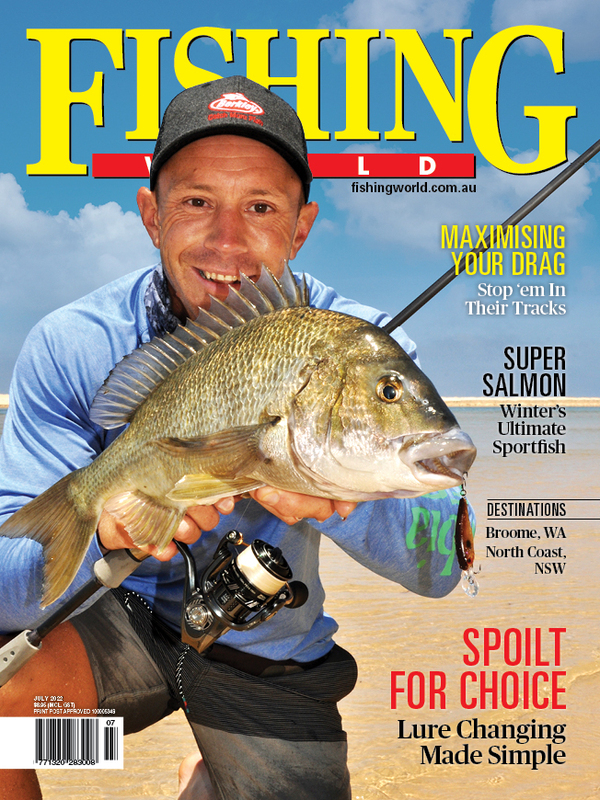 Special “Insider Tips” videos featuring well-known Northern Territory fishing identity, Alex Julius, have been created to give competitors the best chance of catching a tagged barra. The competition will run from 1 October 2016 to 28 February 2017 and participants must register online at www.milliondollarfish.com.au to compete. Registrations are open from today. POLL: How much do fishing-related issues influence your vote?